Selecting local movers for your home or apartment move is an important decision. Our goal is to make your local move easier and that should extend to the decision making process. With that in mind, there are several questions to ask any local movers to put your mind at ease in advance of that big day. ✔ Is the local movers insured? Are they licensed in the state they operate in? Don’t consider any local movers that can’t show you their credentials. ✔ How does the mover charge? 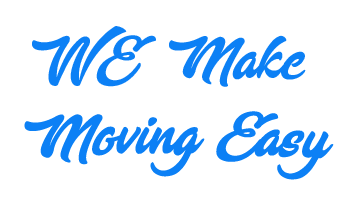 The two most common ways local movers charge is flat price move or by the hour. Do they charge extra for large objects? Do they have overtime or travel charges? Is it more for a weekend move? Are there cancellation terms? It’s important to understand how you are being charged and how that can change on your move day. ✔ What kind of protection is available for your belongings? Your move may be covered by minimal standard coverage or none at all – review possible additional coverage to make sure your valuables are covered. ✔ Are estimates guaranteed? On any local move, it’s important to understand what can cause changes to the estimate. Make sure you understand what could change your quote before your apartment or home moving day. ✔ What kind of staff does the moving company employ? Always make sure that your local movers uses trained staff – not untrained day labor. You’re home move should be handled by professional movers. ✔ What resources are available the day of move? Make sure a coordinator or a manager is available to answer any questions or settle any issues that come up on the day of your home or apartment move. OK! VERY SIMPLE! THIS HOW WE CHARGE! Local moving charges are based upon hourly rates. The rate begins when the crew arrives at your location and covers the total time of the move: In addition to the hourly rate, there is a one-time fee called a travel charge. Local moving charges are based upon hourly rates. The rate begins when the crew arrives at your location and covers the total time of the move: the loading, driving to new location, and the unloading. Additional stops in between locations are included in the total moving time there are no extra charges for multiple stops. No Extra Charge for a piano. In addition to the hourly rate, there is a one-time fee called a travel charge. This charge covers the mover’s costs for traveling from their facilities to your location, and back to their office once the move is complete. This charge is at the same rate as the hourly fee, and usually totals a half hour to an hour charge. e future is that Carmel Movers will be the best professional mover in the world, in the eyes of our most demanding critics- our customers. At Carmel Movers, we recommend this option (definitely for customer with 3 bedrooms and up). This option gives you peace of mind. We give you a flat price for your upcoming move. Other mover’s give you binding estimate to, but they can add to the price an additional 10-20% on the top of the price you receive as binding. Carmel Movers will give you one price, flat, no gimmick, and no additional charges. How we do it? We come to your home, anywhere in New England. Our experienced Move consultants pay close attention to details in order to ensure your relocation is as economical and worry free as possible. One of our move consultants will be happy to come to your home to provide you with a free, no obligation binding not to exceed estimate. We feel accuracy is imperative for your planning as well as your budget. We start with an obligation-free assessment and quote, so that we can tailor our services to your needs. Every home or apartment is different and Carmel movers understand that it might be that brand new plasma TV, or your antique collection that’s causing you concern. Whatever it is, Carmel movers can take care of it, with trained specialists and experienced staff looking after your valuable belongings, you can rest assured that we’ll take care of it all for you. ✔ We start by working with you to create a thorough inventory of the goods you want moved. No detail is too small We take a look on all move factors; stories of Flight, elevator, parking permits…. ✔ We pack or you do? ✔ You take care of building details: Many buildings in Massachusetts have specific requirements for insurance and the use of elevators and loading docks. These details are up to you. Make sure you contact building management well in advance of the move and let us know anything we need to know. Call Our Office Today for Free estimates over the phone,or on-line. We hear so many stories about local moving companies not being prepared. The wrong sized truck turning up, not enough movers to complete the move in one day, access to the property not possible because of overhanging trees, the client forgot to list the items in the shed, the swing not dismantled etc. making the move day difficult and tiring for all concerned especially if there are children involved. Planning is the key to a successful move taking time to make it easy for all of your family. The best way to ensure you and your local movers is completely prepared for the big day is to allow us 30 minutes of your time to survey your home to gather all the required information to ensure we have everything covered. When you receive your quote you will have peace of mind we have everything covered and there are no hidden surprises. Why not put your feet up and let one of our professional consultants help you plan your move, even if you do not use Carmel movers at least you have had some professional free advice. 30 - 45 MINUTES ! On average our visit to your home take 30-45 minute of your time. You receive a FIXED PRICE & PEACE OF MIND knowing your moving costs. In home visit means a more FLAT PRICE & NO HIDDEN SURPRISES.